Ballpark. What's This Divorce Gonna Cost Me? Ballpark. What’s This Divorce Gonna Cost Me? 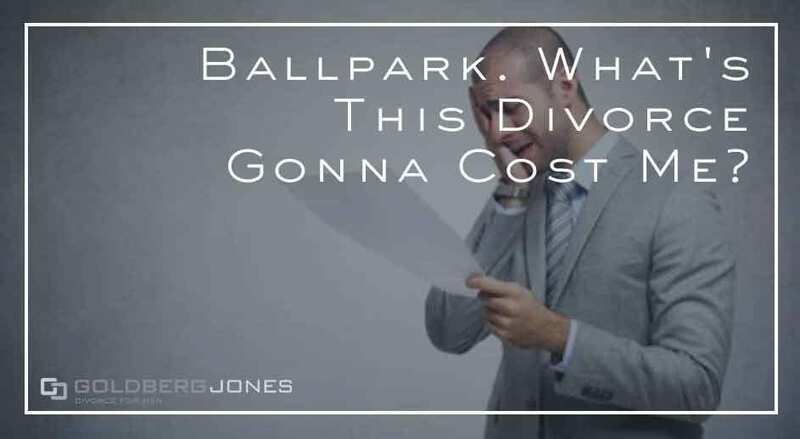 This probably doesn’t come as a shock to you, but divorce is expensive. Filing paperwork, appearing in court, hiring a divorce attorney, all of these come with a price tag. One of the most common questions we hear is: how much does divorce cost? Rick Jones, our founding partner, regularly appears on The Danny Bonaduce and Sarah Morning Show. He answers listener questions about divorce and family law. One recent caller asked this very thing. If you have questions about divorce, contact Goldberg Jones at our San Diego office.